British Precast has worked with Construction News to produce a supplement for the March 2019 edition of their magazine. This special supplement was distributed with every single copy of the March 2019 edition, as well as being available to the British Precast team and members. 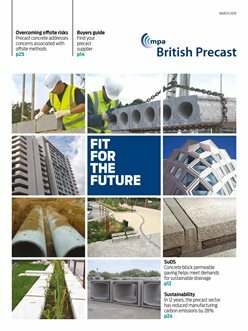 Distributed to almost 6,500 Construction News subscribers, the British Precast magazine contains a buyer’s guide of full and associate members, along with topical, relevant editorial including Housing, Paving, Infrastructure, Sustainability and case studies.